While you can capture the night sky with a DSLR and any good long lens, attaching the camera to a telescope can yield more dramatic close up images. Selecting the right telescope is as challenging as selecting the right camera. Prepare to duplicate the research process and the process of trial and error that you went through when selecting between the many camera brands before settling on the one you have. Refractor: In the most common type of telescope, the lens is located at the front of the tube. This design has the potential to capture the best images, but can get very expensive as aperture increases. Reflector: These designs gather light using a mirror at the rear of the main tube. While this type of telescope is often less expensive, it can be more difficult to use for a beginner as they require frequent optic alignment. Hybrid: Compound telescopes use a combination of lenses and mirrors and are typically more expensive. Popular types include Schmidt-Cassegrains and Maksutov-Cassegrains. While the images may not match the other designs, many hybrid telescopes are very compact and can be operated solely by a computer. When selecting any of the above telescopes, one of the most important specifications is aperture. As photography aficionados should already know, the term refers to the diameter of its light-gathering lens or mirror. With regard to astrophotography, a larger aperture will allow you to pick up fainter objects and capture them in more vivid detail. Of course, telescopes with very high aperture are also the most expensive. There are also several other considerations that you should take into account. First, what do you plan to view/shoot? 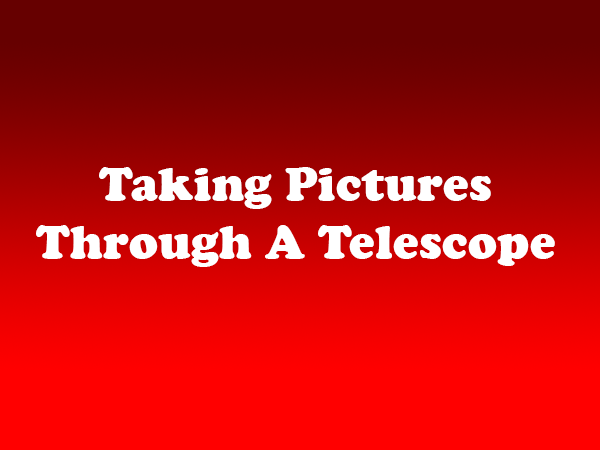 Your subject will influence the appropriate focal length, or the distance (in millimeters) between the telescope’s primary lens/mirror and the point of focus. In some cases, more magnification isn’t always better. Small objects typically require long focal lengths and high magnifications, while large objects need short aperture for low magnifications. Portability is also important. Whether you plan to use the telescope in your driveway or drive to an observation area, you will likely want something that you can carry and assemble yourself. Some sophisticated telescopes can weigh hundreds of pounds and require two people to assemble. For hobbyists, the hassle generally isn’t worth it. For those who are just starting out, your best bet is generally a small aperture refractor. Smaller telescopes are also easier to handle and affix to a mount. Models to check out include the Astro-Tech AT65EDQ and the Explore Scientific 80mm f/6 Triplet ED Apochromatic Refractor, both of which cost under $1,000. If you are looking for quality, avoid the models sold at your local department store, even if it is a name brand. Just as with a standard camera, you get what you pay for.